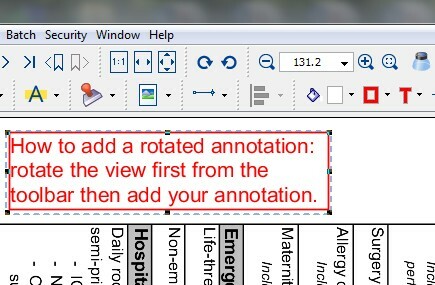 Q: Can I rotate an annotation? A: When you create a rubber stamp, it is possible to specify a rotation angle but for other annotation types, there is currently no way to rotate them. In a future version of PDF Studio, we will be adding the ability to rotate an annotation without having to rotate the view first. How to follow a URL / link in PDF Studio?